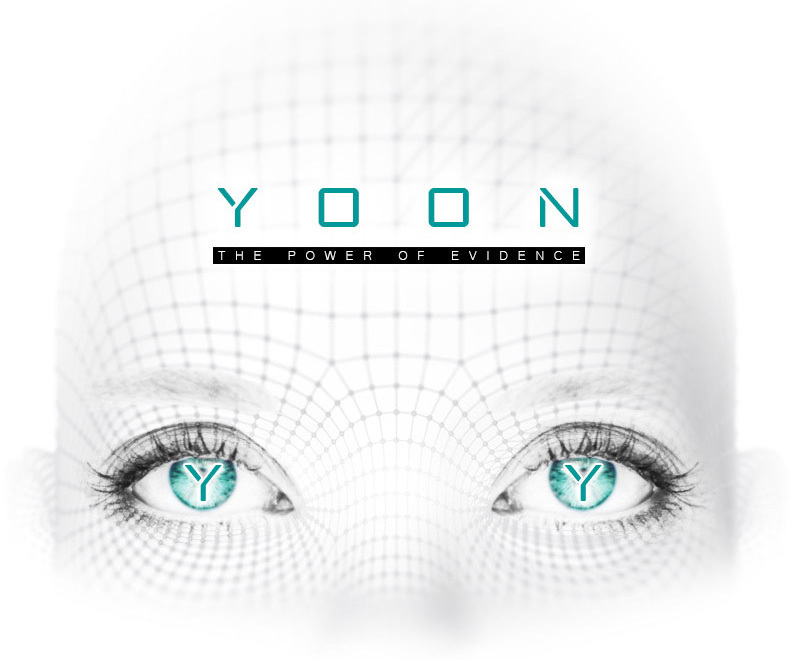 "YOON will reduce fraud and corruption on a global scale, by enabling access to low-cost evidencing services." Just click on the questions to read more. What is the message of YOON and its product? YOON uses the core of the blockchain (its immutability) for something that has to be immutable as well, otherwise it is not sustainable -> Evidence. This is actually a perfect combination and puts evidence-protection on the next level. The result: Fraud, lies and corruption will become more difficult, as evidence protection will become a very easy, cheap and fast process. YOON cannot turn our world into a paradise, but at least it will make it a bit better. The market is not big, it´s gigantic. Only within the “contractual disputes” and the “copyright infringement” segment we see annual damages, caused by fraud and corruption, worth more than 4 trillion USD globally. 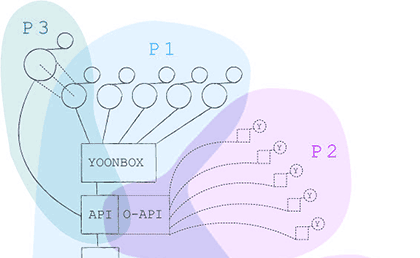 The YOON Protocol will give external developers and companies the possibility to connect an indefinite number of Tools and Applications that are evidence-related and use our evidencing mechanism via our Open API. Is YOON solving a real problem? Fraud only works out if the victim cannot prove the opposite (at court). In a “he says, she says” situation the judge usually decides in favor of the accused. This means, the fraudster gets easily away with his crime, due to a “Lack of Evidence”. YOONs mission is to change this! Protected evidence is very often a gamechanger (demonstrated in the following illustration). It is too risky to commit fraud, because the victim can prove the opposite. The judge has a solid basis for deciding against the fraudster. The result: When evidence is protected, legal conflicts don´t even arise. Evidence protection in the past and today is a complicated and seldom immutable process. 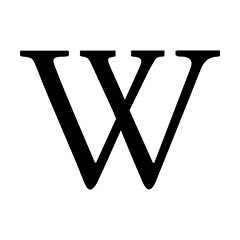 In addition to that, often the help of notaries or other persons is needed. That makes it a complex, cost intensive and time-consuming process, with the result that many people don´t commit to doing it, instead they simply trust that nothing bad will happen. Often a fatal decision and a fruitful soil for fraud and corruption. YOON solves this problem. In conjunction with the blockchain we can bring the whole evidence-protection system on a new level. Does YOON really need the blockchain for its product? Immutability is YOONs core feature. Any blockchain with enough nodes offers exact this, there could not be a better "partner" for our core than a popular blockchain. Why is the blockchains immutability so important for YOON? Evidence has to be immutable for being sustainable (at court). The blockchain´s core and probably biggest advantage is its "immutability". There is actually no better technology for our product, it´s the perfect match. Is there an existing "central" solution to your problem? Evidence protection is nothing new, but a very antiquated process, often expensive with the need of middlemen. This process hasn´t changed for decades. It´s time for a change, the blockchain gives us (YOON) the chance to do so. Does the YOON team have experience in tech/entrepreneurship/law? 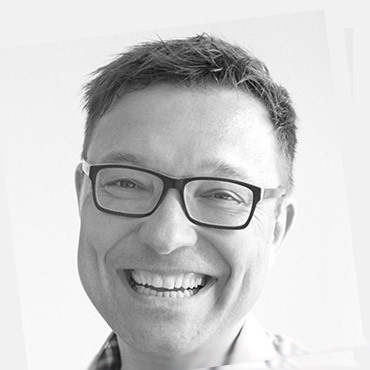 Gerhard, our foudner, is a serial entrepreneur in the tech-industry since 2003. He developed a successful social network for mothers (mamiweb.de) and several other internet-startups. Before he worked for several years in the law-industry. 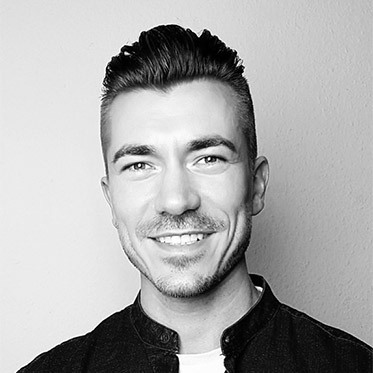 Johannes is also entrepreneur in the media-industry for almost 10 years, Philip has many years of experience in programming and April many years of design-experience. Just, have a closer look at our team-section below. Which role does the YOON Token play? The YOON Token is a classic utility token, based on the Stellar Network. 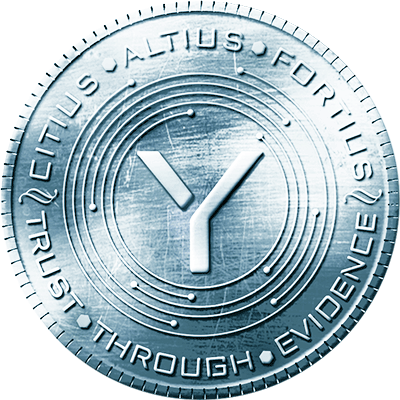 For every evidencing process, and service within the YOON ecosystem, a small amount of YOON Tokens is required. This will be the same for the Open API-Applications, the cloud storage service, products that become their own legal entities (through spin offs) and finally our own blockchain and decentral filestorage system, where YOON Tokens can be earned. Directly after our ICO YOON Tokens can be bought on different decentral "stellar-exchanges", and later on at other exchanges where YOON Tokens will be listed. Furthermore it can be bought within our Ecosystem as well, at the market value. Have a closer look at our Token Model here. When is your ICO planned? 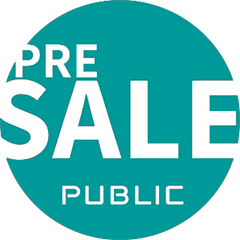 In october / november 2018 we want to do the private pre-sale, short after that we will start our public pre-sale. In both pre-sales we will give a significant bonus. In the private pre-sale it will be up to 75% depending on the ticket-size. Our ICO is scheduled after the month of january 2019. Please have a look at our website regularly, we will the publish the exact dates and all information around it soon. Why did you choose the Stellar plarform for the YOON Token? Stellar has much lower transaction fees (than other platforms like Ethereum). Beside those facts, we will be able to use the Stellar Network for our evidencing-service, which will be fast, secure and cheap. We are able to deploy pretty complex smart contracts for affordable fractions of cents per operation. Last but not least, behind Stellar stands a strong team, people with many years of experience in tech business. Evidence needs to be immutable, for having power of proof. The core of the Blockchain is it´s "immutability". "Bringing the real value of the Blockchain to the people!" The YOON Protocol will be the key part of all our systems defining our business actions as messages, commands and events. 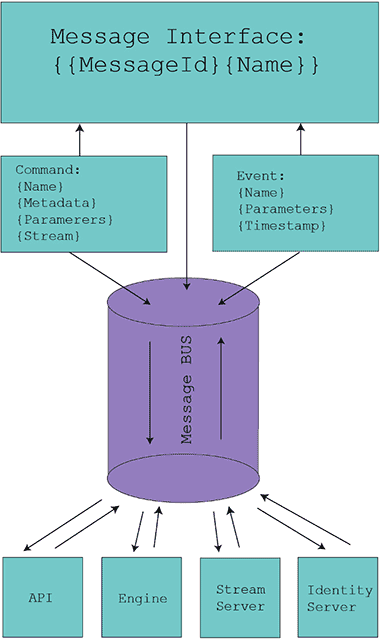 The following illustration demonstrates the usage of messages with a message bus system, implemented in our protocol. The YOON Protocol will be the key part of all our systems defining our business actions as messages, commands and events. The event and command are both time relevant whereas a message is not. When implementing CQRS, commands and events play a significant role over the whole subsystems as they decouple the what from the how anything is handled in our systems. 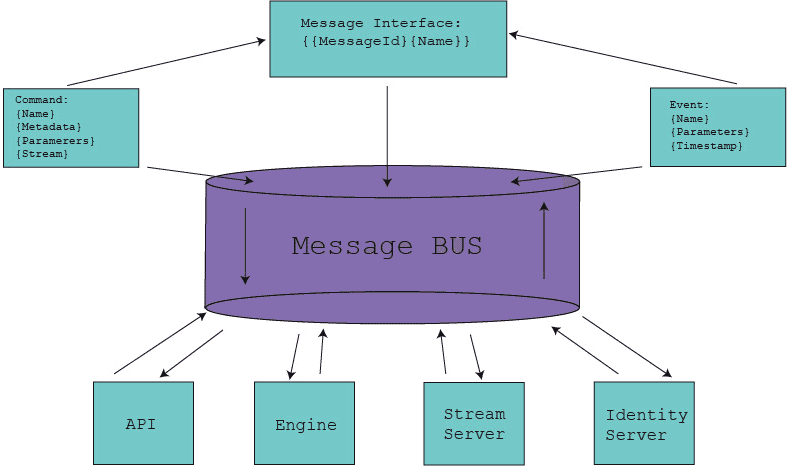 The diagram above illustrates the usage of messages with a message bus system. Our message bus systems will span across many layers whereas one message bus is a global service like bus while subsequent internal message bus systems also exists depending on implementation on the specific modules. The event and command are both time relevant whereas a message is not. Our message bus systems will span across many layers whereas one message bus is a global service like bus while subsequent internal message bus systems also exists depending on implementation on the specific modules. This will be our generic command structure with the command action, metadata, parameters and a stream WebSocket endpoint for uploading files (WebSocket is a HTTP based protocol on top of the TCP stack allowing persistent http connections). Analogous to our commands the events are describing if any of the above called actions happened and succeeded. Events occur mostly if a command has been executed or an external action has executed within the context of our business cases signaling readiness. The YOON Ecosystem is quite extensive. The illustrations shows that it is divided into 3 time related phases (P1, P2, P3). In the first phase (P1) we will launch the System, which contains the YOON Protocol, the Engine (along with the Bus, the Smart Contracts, etc.) and the API. In addition to that we are developing the YOONBox which bundles the first tools that will be at the same time the first usecases for our protocol and the whole system. In phase 2 (P2) we will scale our system and open our API. An infinite number of decentralized applications can then be connected to YOON Engine through our protocol. The Engine is the core of the whole system and manages all the evidencing. In phase 3 (P3) we will scale the Ecosystem further in offering upselling services (like Cloudstorage), develop our own blockchain including a decentral filestorage system and last but not least do spin offs from our YOONBox. Those spin offs become own companies and do their won ICOs. This is only a sample of possible usecases. With the YOONBox we are creating the first usecases for the YOON Protocol. 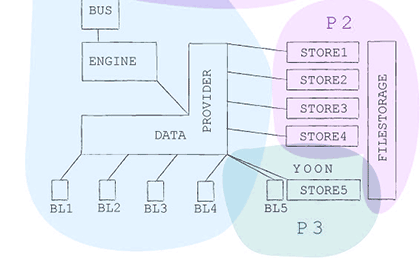 The YOONBox offers 3 different types of Interfaces, outlined in the graphic on the right. Read more about the YOONBox in our YOONBox-information sheet. The YOON Token will be used quite extensivly, scaling up in 3 different phases. In the first step (P1) we will launch our own products using the YOON protocol. The Tokens marked in green color are symbolizing phase no.1. For every usage of the YOONBox (including the access-interface and the complain-interface, a specific amount of YOON Tokens is needed. In phase 2 we are scaling the whole Token Model (tokens marked in magenta). 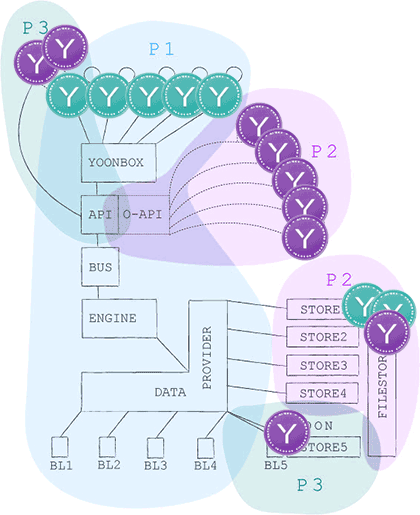 Through our Open API an infinite number of decentralized applications are connected to YOON, they all will require a specific amount of YOON Tokens to use our services, which will not limit themselves to evidencing services, but also offer upselling features like cloud storage and in the end an own blockchain combined with an own storage system (P3). In addition to that we will do spin offs from our YOONBox, which also will require YOON Tokens (also P3). 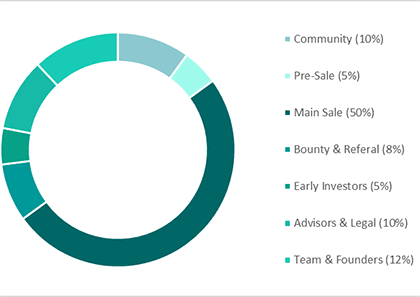 This phase marks our basic token model (tokens colored in green). 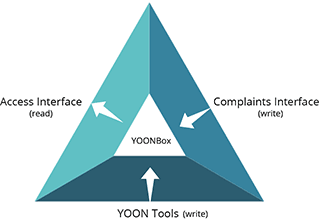 All our services accessible through our API via interfaces like the tools within the YOONBox, the "YOON Access Interface" or the "YOON Complaints Interface" require a specific amount of YOON Tokens (except some basic services which are free of charge). 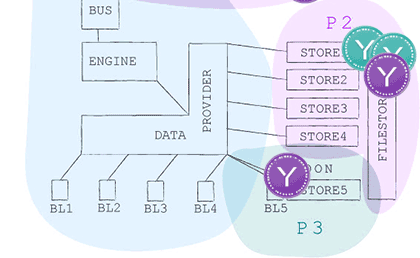 Tokens, colored in purple, are YOON Tokens that are earned through external applications that connect to our Open API (P2). Our API can handle an indefinite number of applications. A fraction of our services will be free of charge (freemium model), most of it though will require YOON Tokens. In Phase 2 we will also start upselling additional features, p.e. cloud storage services, which also will require YOON Tokens. The next phase (P3) is characterized by the development of our own blockchain which goes hand in hand with a connected open decentralized file storage system that removes intermediaries and is open for participation. Participants who provide their hardware for the YOON filestorage network will earn YOON Tokens in return. 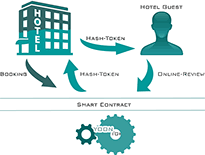 Furthermore in P3 we will start doing spin offs from our YOONBox, which means that we are building addioninal services around each tool, and they become independent businesses, being able to do their own ICO in the next step. Gerhard is the originator of YOON and our CEO. He has more than 14 years of experience as entrepreneur, entered the internet market with an online-dating startup in 2004, since then he founded and co-founded several other ventures in the new media/internet field, like the social network for mothers "Mamiweb.de" in Germany, Austria and Switzerland. Gerhard studied law at the universities Vienna, Salzburg and Rome, he made his PhD in law. Before Gerhard turned his passion of entrepreneurship and software development into reality, Gerhard worked several years for PricewaterhouseCoopers in financial services, until 2004. 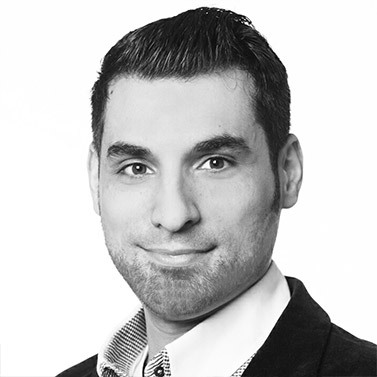 Philip is a technic enthusiast and former IT consultant who developed a passion for blockchain technologies. His focus lies on software architecture and design as well as developing on REST based Backend Services and state of the art front end technologies. Philip studied computer science at the Mannheim University in Germany. Johannes is a Vienna based filmmaker, media-engineer and creative mind. Producing TV-commercials, Social Media Clips, Crowdfunding campaigns, documentaries and many more for over ten years. Providing his expertise now for YOON. Johannes studied "Digital Media" at the St. Poelten University of applied sciences (Austria). 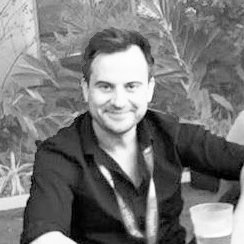 Tom is our head of press and the one coordinating our public strategy, especially related to our ICO. He is a team member from the first hour and is very passionate about YOON and developing our products. 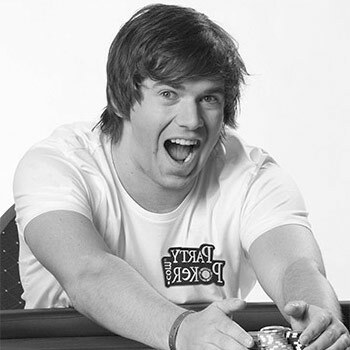 Tom is currently studying electrical engineering and has a strong background in online marketing. April is our head of design. She has many years of experience in web and graphic design. She has gathered solid experience as a project leader with an educational provider. April is trained in mentoring and counseling. Further, she is volunteering at a non-government organization supporting projects for children rights. 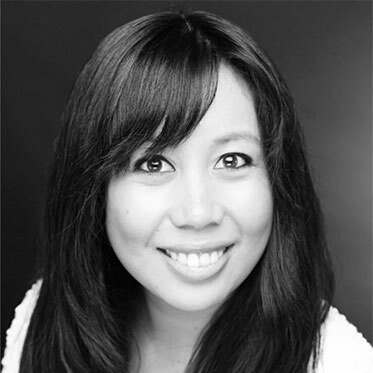 April holds a double master degree in design and social sciences. She has studied humanities and social science in Frankfurt am Main at the University of Applied Sciences and in Sweden at the Växjö Universitet. She is a certified graphic designer. Become part of something meaningful? CEO and Founder of play-asia.com. Forming the idea, teambuilding, writing down structures and the whitepaper. The first quarter is mainly characterized by organizational work around YOON, the foundation of the legal entities and optimizing the product. Finishing the whitepaper and our roadmap. Team expansion & creation of the YOON system. The 2nd quarter is characterized by creating the architecture of the YOON system, which goes in hand with community building and spreading the word about YOON and our idea. ​The website yoon.online and the website for the YOON ICO is being created. Like in Q2, our focus lies on creating the architecture of the YOON system, which goes in hand with community building and spreading the word about YOON and our idea. This quarter is characterized by preparing for the pre- and the main-sale. During this period our private pre-sale will be accomplished, and our public pre-sale initiated. In parallel to the private pre-sale our MVP and prototype is being built. In the end of Q4 we will present a first working example of the YOONBox. In Q4 we will do the ICO for YOON. Im parallel we will continue developing the YOON Protocol, the YOON API, the YOON Engine (start of Phase 1). Those 3 elements are the core elements of the YOON Ecosystem. Furthermore our APP the YOONBox, which is the initial starting point and usecase for the protocol, will be developed. In the end of the 4th quarter we expect to launch our Ecosystem in a beta-version and shortly after that the YOONBox, as well as beta-version. The second Quarter of 2019 will be characterized by the beta phase of our software. Further development, and optimization plays an imporant role in the following months. Together with our community we will finetune the YOON Ecosystem. In parallel we will be marketing our Open API which will is scheduled to launch in the end of this quarter. The Open API will play a big role in decentralizing evidence protection and an imporant step for our token model. The Open API is the first scaling-step within the YOON Ecosystem. Our protocol is designed to be deployed to an infinite number of participants and connecting them (and their services) to the YOON Ecosystem. This first scaling step (Open API) is at the same time an imporant milestone for the YOON Token-Model. Marketing and PR-actions for the YOON Ecosystem (Protocol) and our Apps (IOS, Android, web) will play an imporant role in this quarter, as well. Making YOON popular. Based on our funding we fokus on marketing and PR for YOON.Depending on their popularity, possible spin offs from our Tool Box (Phase 4). 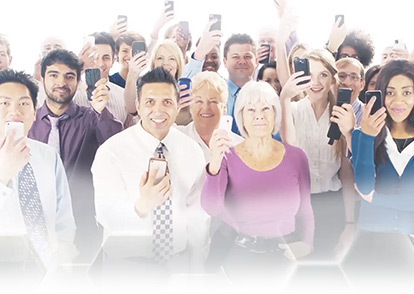 YOON Tokenholders receive unique opportunity to participate. Our most popular products will get their own structure with own marketing, PR and develop-team, to become even more powerful. The YOON Token is based on the Stellar Network, and will be tradeable fron day zero, after the ICO is over. For understanding the role of the YOON Token, have a look at our Token Model . We will not sell more than 73,034,500,000 YOON Tokens in the crowdsale, this is our hard-cap. 2000 YOON Tokens will be sold at 1 Euro. There will be a timebased bonus scaling during the crowdsale. No more Tokens can and will be issued either after the hardcap is reached or the ICO is timed out. Tokens that are not sold during the crowdsale will be burned. 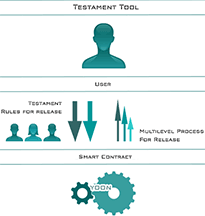 The binding terms and provision of the YOON Token sale will be outlined in the Terms & Conditions, published on our website. Our private pre-sale will start in october 2018. The contingent of the private pre-sale is limited to 5% of the issued YOON Tokens, and will be distributed on a "first come, first serve"-basis. Depending on the ticket-size we will give you a bonus up to 75%, starting from 20k USD. You will receive the YOON Tokens on a separate Stellar-Wallet which is "frozen" until the end of the ICO. Directly after that your Tokens will be trade- and transferable. Save an 5% Extra-Bonus on top, in registering now! Interested in participating our Private Pre-Sale? For your own safety: Choose at least one uppercase, one lowercase and one number within your password. Become part of something meaningful! Evidence protection, by leveraging blockchain technology.